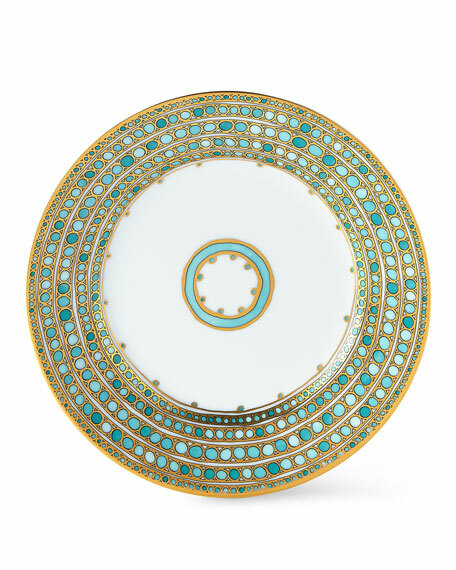 Limoges porcelain bread & butter plate. Limoges porcelain cup and saucer. 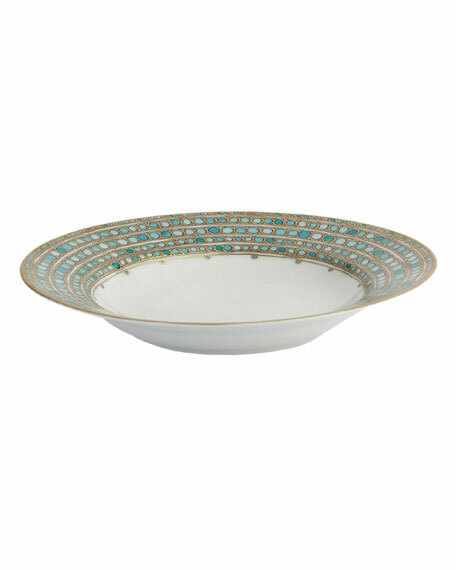 Fine French Limoges porcelain intricately patterned in ocean hues and rich gilding. Dishwasher safe but hand washing recommended. Mottahedeh has been in business for over 75 years. 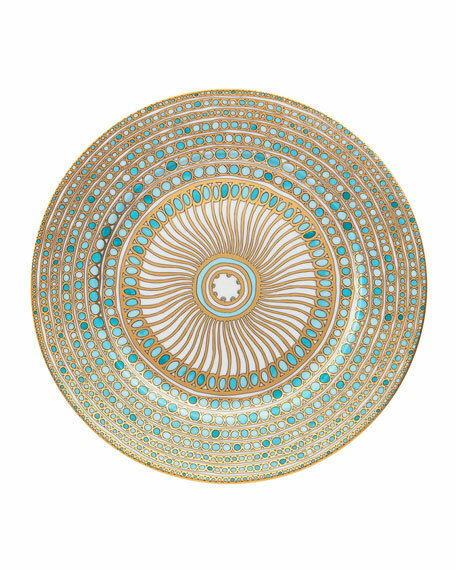 Mottahedeh specializes in hard porcelain, crystal, brass, silver plate, stoneware, faience and lithographs. They hold licenses to make reproductions and adaptations from the Metropolitan Museum of Art, Colonial Williamsburg, Winterthur, Monticello, Historic Charleston, Historic Natchez, and the National Trust. Mottahedeh hold the privilege of having made china for the President, the State Department and for the Diplomatic Corps. 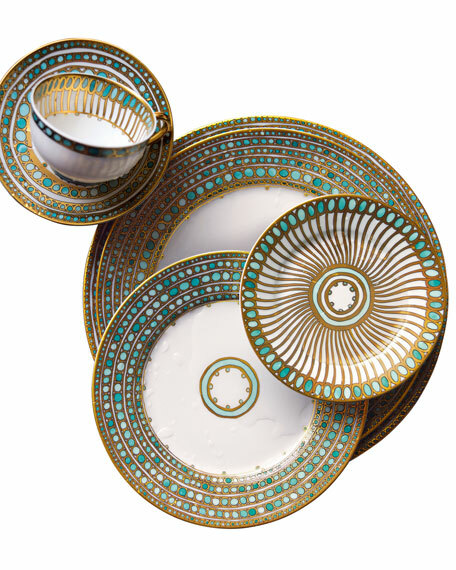 They are known for their classic, time-honored tableware and decorative accessories, which are patterns primarily based on Chinese Export from the West, Early European and Chinese Designs.